What unseasonally summer weather we’ve been having this week! What with visitors and birthdays (and work and school) we’ve not got out walking much over the last couple of weeks. The children were very happy to spend time with their cousins and we had a great day out at Dairyland – ice creams and sunshine in October. We wanted to make the best of the weather this weekend so we threw the two man tent in the van and headed off for a spot of camping. We’ve wanted to camp at Treloan (also known as Arthur’s Field) for a while now and finally we had a free weekend with good weather when it wasn’t fully booked. 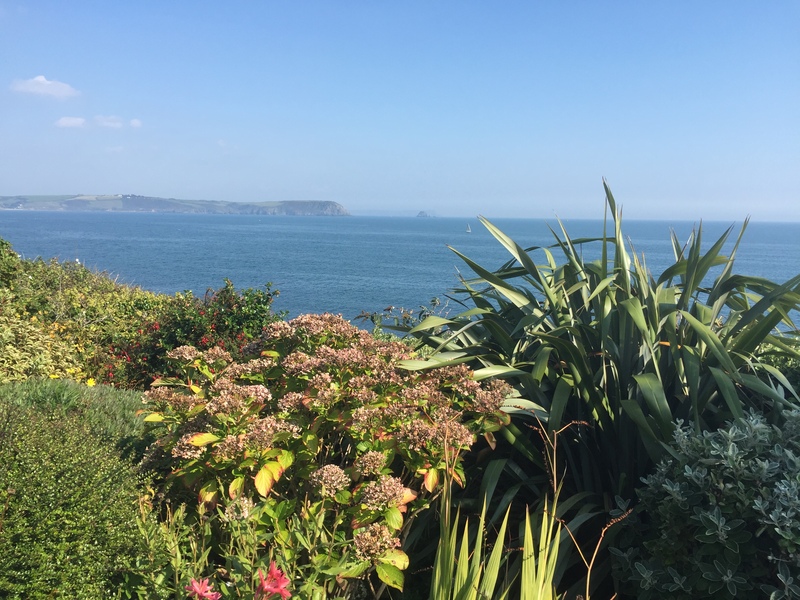 The Roseland Peninsula is one of our favourite places in Cornwall; Cornish countryside at its best with small fishing villages and beautiful sandy beaches and coves. Treloan is a short walk from the villages of Gerrans and Portscatho. According to the Guardian it’s one of the top 10 family camp sites in the UK, it’s also listed in Cool Camping. I’ll let the Treloan website and reviews speak for themselves, save to say that we loved it and will go back, not least for it’s great location. Plus, I love a good camp fire and here you can hire braziers (an essential when camping in October) or join in the songs and stories round the communal camp fire in the summer. Portschatho has a few galleries and seasidey shops, a couple of pubs and a well equipped shop – “Ralph’s” as well as a butchers for BBQ necessities. 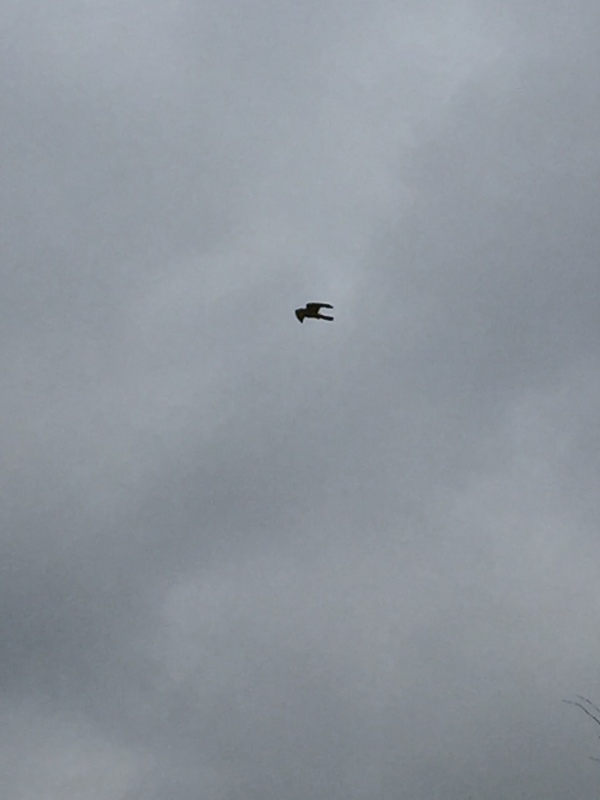 Or you could get Sainsbury’s to deliver to your tent as one of our fellow campers did! 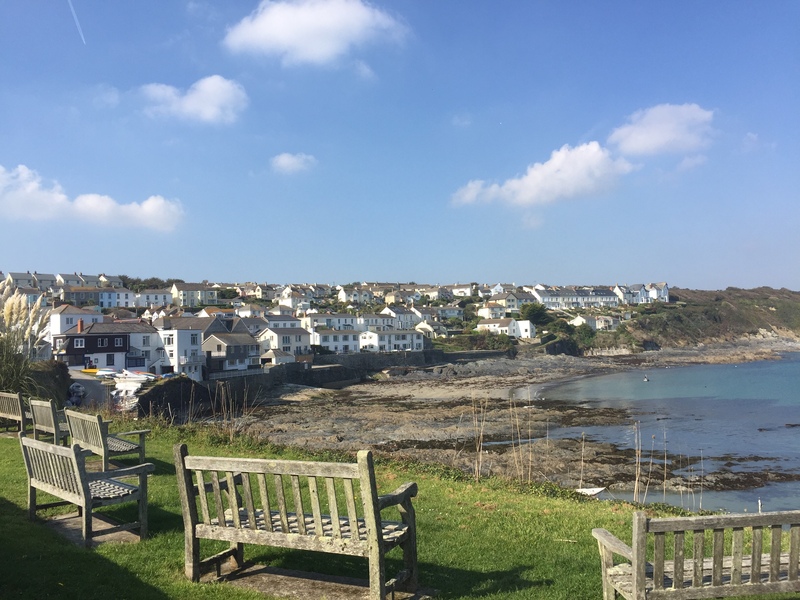 There’s a beach that’s perfect for paddling and pottering and Tatums cafe right on the slipway for a take away coffee and pasty or pastry. 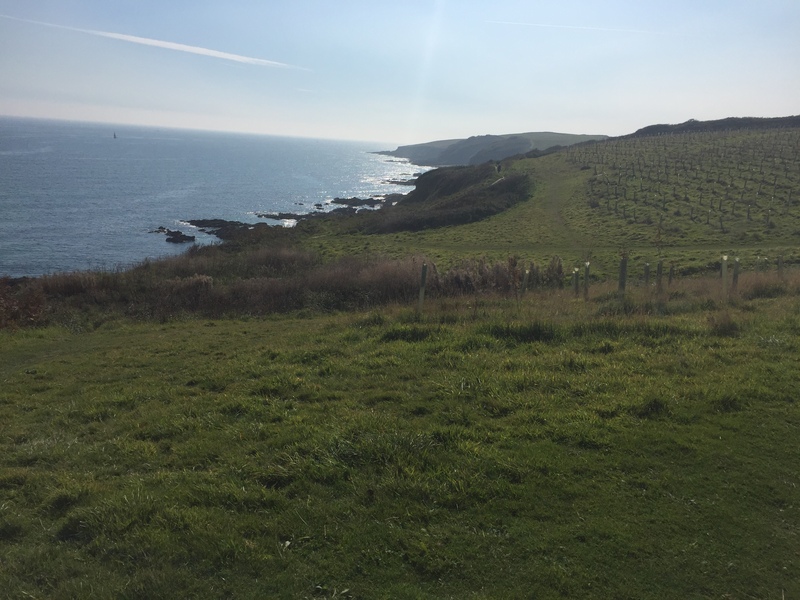 You can pick up the South West Coast path from the doorstep; turn left to Portscatho or right to get to a couple of small coves. There are other walks listed on the Treloan website. 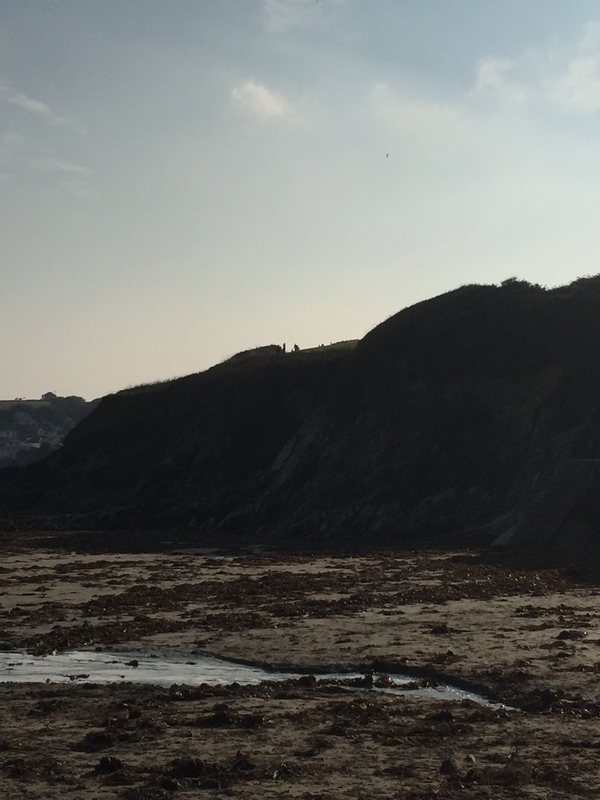 We walked to Portscatho and beyond on Saturday (sunny) and in the other direction to the curiously named Peter’s splash on Sunday (not so sunny). We avoided Breakneck beach. South West Coast Path towards Portscatho, returning by road through Portscatho. Parking: not staying at Treloan? There is a free car park along the lane beside The Royal Standard in Gerrans. Toilets: Public toilets in Portscatho near the beach. Cafe: Pubs in Portscatho and Tatums cafe on the slipway to the beach. Pushchair suitable? 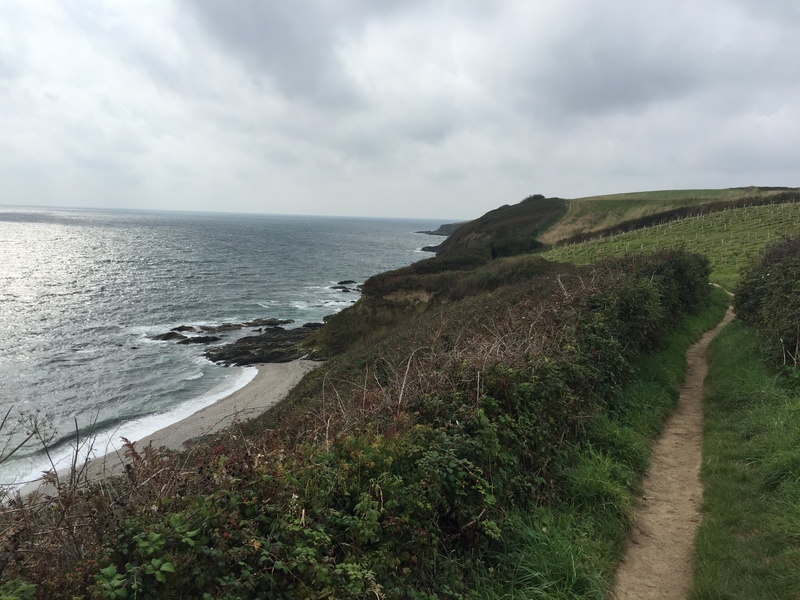 From Treloan it’s do-able to Portscatho – it’s fields and path so something rugged. It’s all on a slight slope, so a carrier makes things easier. Time: Depends how far along the coast path you go. 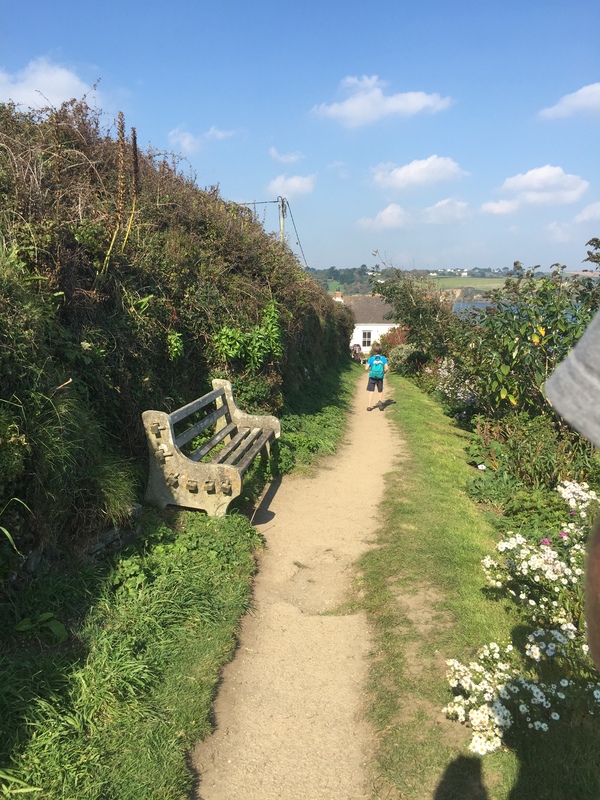 To Portscatho and back is a short walk, maybe 1hr tops at a child’s pace. 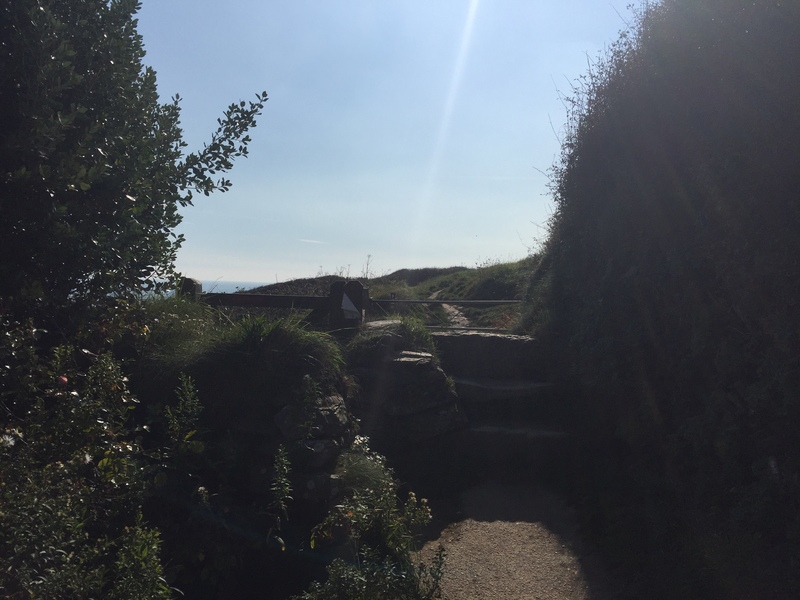 Directions: From Treloan, head down towards the sea and to the left to pick up the coast path to Portscatho. If you’re in the car park, turn left out of here and follow the lane. Here we saw a sign for a footpath to Portscatho which will lead to you to the coast path (I’m sure, although we didn’t take this route). If you want to return by road, follow the hill up out of the village with Ralph’s shop on your right. Take the road beside the pub to return to the car park or the campsite.